Affiliate marketing has a language all its own. 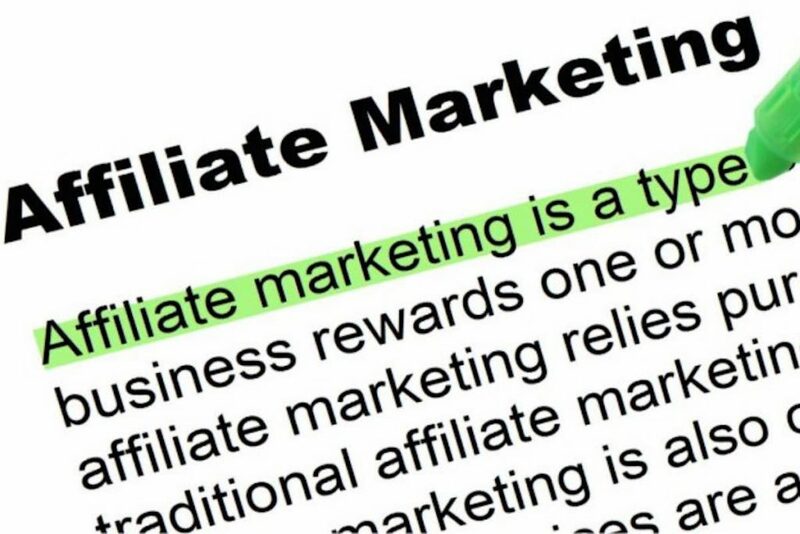 This glossary (a partial extract from the glossary contained in the Super Affiliate Handbook) explains the meaning of the terms most commonly used in Internet and affiliate marketing. 2-Tier Program: Affiliate program structure whereby affiliates earn commissions on their conversions as well as conversions of webmasters they refer to the program. Above the Fold: Once a web page has loaded, the part that is visible is said to be ‘above the fold'. Adsense (Google): Text and image ads that are precisely targeted to page content, from which the webmaster earns a percentage of the price per click paid by the advertsier. Adwords (Google): Google's Pay Per Click (PPC) advertising program. Affiliate: A web site owner that promotes a merchant's products and/or services, earns a commission for referring clicks, leads, or sales. Affiliate Marketing: A revenue sharing arrangement between online merchants and distributors (affiliates) in which the affiliate earns a commission for producing a sale, lead or click for the merchant's site. Affiliate Network: A third party providing services to affiliate merchants and affiliates, including tracking technology, reporting tools, and payment processing. Affiliate Program: Any arrangement through which a merchant pays a commission to an affiliate for generating clicks, leads, or sales from links located on the affiliate's site. Also know as associate, partner, referral, and revenue sharing programs. Autoresponder: An email robot that sends replies automatically, without human intervention. For example, if you had a page of marketing information, you could ask prospects to send email to “info@yourname.com,” the address of your autoresponder. The autoresponder will automatically email the person your information document. Many autoresponders will, at the same time, send an email to you, listing the requester's address and the document they requested. This is an important tool for conducting online commerce. Blog: Acronym for ‘web log', a blog is basically a journal that is available on the web. The act of updating a blog is referred to as ‘blogging' and those who keep blogs, are known as ‘bloggers'. Browser: A program that allows you to access and read hypertext documents on the World Wide Web. The most popular browsers are Internet Explorer and Firefox. Click Fraud: Click fraud, also called pay-per-click fraud, is the practice of artificially generating traffic to advertisers' sites either manually or through the use of automated clicking programs (called hitbots). The advertiser pays for this traffic, which has no potential for generating revenue, however, the scammer receives a percentage of the pay-per-click fees paid by the advertiser. Click Fraud Detection/Monitoring: Service that provides independent monitoring of clicks from your PPC campaigns. If you notice fraudulent activity, Google or Yahoo!/Overture may provide a refund. Click-Through: When a user clicks on a link and arrives at a Web site. Click-Through Ratio (CTR): Percentage of visitors who clickthrough to a merchant's Web site. Clickbank: Popular online billing, 3rd party payment processor and marketing service for the development of affiliate programs, and the largest distributor of digital information products on the Internet. Eliminates the need for a merchant account. Known for its ease-of-use. Learn more about credit card processing services. Cloaking: Hiding of page content or affiliate linking code. Commission: Also known as a bounty or referral fee, the income an affiliate is paid for generating a sale, lead or click-through to a merchant's web site. Co-branding: Where affiliates are able include their own logo and/or colors on the merchant's site. Comment Spam: Unwanted comments posted to blogs in an attempt to gain a link back to the poster's site. Usually generated automatically by software known as ‘spambots' and occassionally by individuals. Conversion: When one of your visitors makes a purchase on the merchant's site… i.e. converts from ‘visitor' to ‘buyer'. Conversion Rate (CR): The percentage of visits to your site that convert to a sale. I.e. If 1 person in every hundred visitors to your site makes a purchase, then your conversion rate is 1:100 or 1 percent. Cross-linking: Linking a group of domains, usually your own, to each other for the purpose of increasing its popularity with search engines. Excessive cross-linking may lead to your site being penalized by Google or Yahoo! Disclaimer: A disclaimer states the terms under which the site or work may be used and gives information relating to what the copyright owner believes to be a breach of his/her/their copyright. In some cases you may wish to permit certain activities, in others you may wish to withhold all rights, or require the user to apply for a license to carry out certain actions. See the NPT disclaimer as an example. Domain Name: The unique name that identifies an Internet site, i.e. http://101Date.com or RosalindGardner.com. Doorway Page: Also known as bridge pages, gateway page, entry pages, portals or portal pages, these pages are used to improve search engine placement. Caution: some search engines will drop a site entirely if the existence of doorway/gateway pages is detected. Endorsement Letter: Also known as a “product review”, an endoresement is a promotional statement outlining features and benefits for a particular product or service. Email: Electronic mail, a message sent to another Internet user across the Internet. An email address looks like this jimsmith@bubblee.com, whereas, “jimsmith” is your user name, your unique identifier; “@” stands for “at”; ” bubblee.com” is the name of your Internet Service Provider. EPC: Term used by the Commission Junction affiliate network, this is your ‘average earnings per 100 clicks'. This number is calculated by taking commissions earned divided by the total number of clicks times 100.
eZine: Short for ‘electronic magazine'. Forum: Online community where visitors may read and post topics of common interest. Google: a popular search engine, is a tool for finding resources on the World Wide Web. Google Adsense: Text and image ads that are precisely targeted to page content, from which the webmaster earns a percentage of the price per click paid by the advertiser. Hit: A hit is a single request from for a single item on a web server. To load a page with 5 graphics would count as 6 ‘hits', 1 for the page plus 1 for each of the graphics. Hits therefore are not a very good measurement of traffic to a website. Home Page: Your primary HTML page, the first page anyone would see in your Web site. Also called a “landing page”. Hypertext Markup Language (HTML): The primary “language” used to create World Wide Web documents (web pages). Read the article, “Why You MUST Learn a Little HTML“. In-house: Merchant that administers its own affiliate program. Joint Venture (JV): A general partnership typically formed to undertake a particular business transaction or project rather than one intended to continue indefinitely. Keyword: The search term that a user may enter at a search engine. For example, someone who wants to find a site that sells printer paper might enter ‘printer paper' at a search engine. Keyword Density: The ratio between the keyword being searched for and the total number of words appearing on your web page. If your keyword only occurs, say, once, in a page that has twenty thousand words, then it has a density of 0.005 percent. Keyword Selector Tool: Displays how many times a certain keyword was searched for at Yahoo! Search Marketing during a given month. Lifetime Commissions: An affiliate program that pays a commission on EVERY product or service that the customer buys from the merchant, once you've sent the referral, i.e. the customer is yours ‘for life'. Multi-Level Marketing (MLM) : Also known as Network Marketing, MLM involves the sale of products through a group of independent distributors who buy wholesale, sell retail, and sponsor other people to do the same. Niche Marketing: Focused, targetable market segment. Learn more about Pay Per Click search engine advertising. Pay-Per-Sale (PPS): Programs in which the affiliate receives a commission for each sale of a product or service that they refer to a merchant's web site. Portable Document Format (PDF) : PDF stands for Portable Document Format. It's a distribution format developed by Adobe Corporation to allow electronic information to be transferred between various types of computers. The software that allows this transfer is called Acrobat. Portal: A term used to describe a Web site that is intended to be used as a main “point of entry” to the Web. I.e. MSN.com is a portal site. Reciprocal Linking: The process of exchanging links with other websites to increase search engine popularity. Recurring Commissions: Earn commissions both on the initial sale and subsequent purchases of the same product or service. Examples of affiliate programs that may pay recurring commissions are online dating services and web hosting services. Referring URL: The URL a user came from to reach your site. Scumware: Software that contains additional ‘features' for the purpose of displaying advertisements. This software will modify web pages from their original content to put ads on the user's computer screen. Examples of scumware propagators included: Gator, Ezula, Surf+ and Imesh. Search Engine Optimization (SEO): The process of choosing keywords and keyword phrases relevant to your site or page on your site, and placing those keywords within pages so that the site ranks well when those keywords are searched upon. Social Networking / Marketing: Meeting and building relationships with people using one or more of a broad range of sites, such as MySpace, Facebook, Twitter, etc. Learn more about Social Marketing. Squeeze Page – A squeeze page, also known as a ‘name squeeze page' is a landing page specifically created to solicit name and email addresses from site visitors. Many webmasters collect only email addresses. Learn more about squeeze pages. Tracking URL: A tracking URL is a web site URL with your special affiliate code attached to it, i.e. http://www.awebsite.com/?myID. Visitors arriving at the side are tracked back to you through your special code, or ID. Unique User: A unique visitor to your Web site. Probably the best indicator of site traffic. Uniform Resource Locator (URL): The address of a site on the World Wide Web. Here's an example URL: http://www.byebye925.com/articles/index.html The “http” stands for “hypertext transfer protocol”; “://” signals the beginning of the address; “www.byebye925 .com” is the domain name; “/articles” is the directory; and “index.html” is the name of the HTML file. Viral Marketing: A marketing technique that induces Web sites or users to pass on a marketing message to other sites or users. Virus: A computer virus is defined as a set of commands, created intentionally, that will do some level of damage to a computer. A computer virus does not float around in cyberspace, but is always attached to something. That ‘something' could be a text file (MSWord document), an email, a photo, a music clip or a video clip. Your computer must receive one of these ‘carriers' in order to get a computer virus. Web Host: A business that provide storage, connectivity, and services necessary to serve website pages and files. See which Web hosting services we recommend. Web Site: A collection of HTML pages. Can also be a ‘blog'. World Wide Web (WWW, or Web): A section of the Internet containing “pages” of information, including text, photos, graphics, audio, and video. You can search for documents by using one of the many search databases. To access the Web, you must use a browser. Yahoo: The most popular and (perhaps) the most comprehensive of all search index databases on the World Wide Web. Yahoo's URL is http://www.yahoo.com.